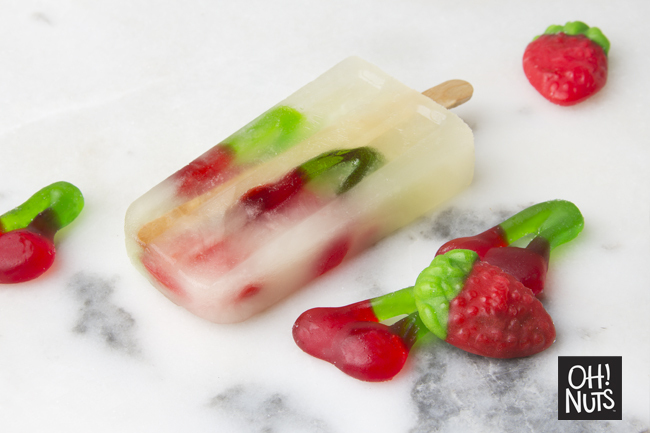 Summer is finally here and with it – the heat! 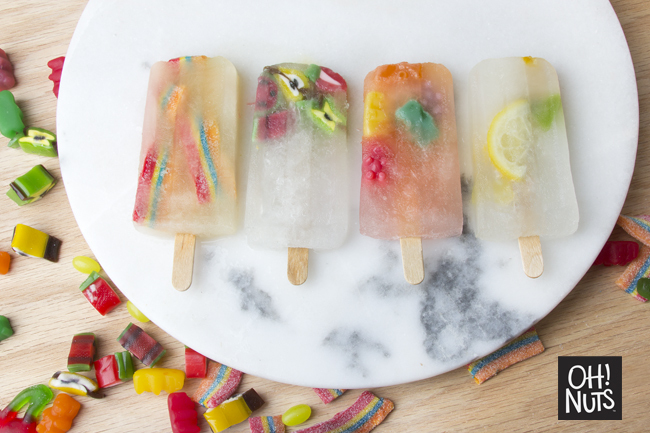 A great way to cool down and enjoy the sun is ice pops but why buy when you can make them at home easily? 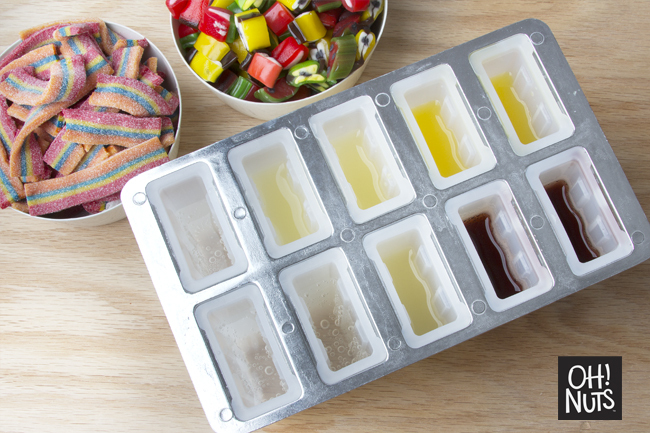 Not only is this a fun activity with your kids, once it is done you enjoy a cool, refreshing, candy filled ice pop together. 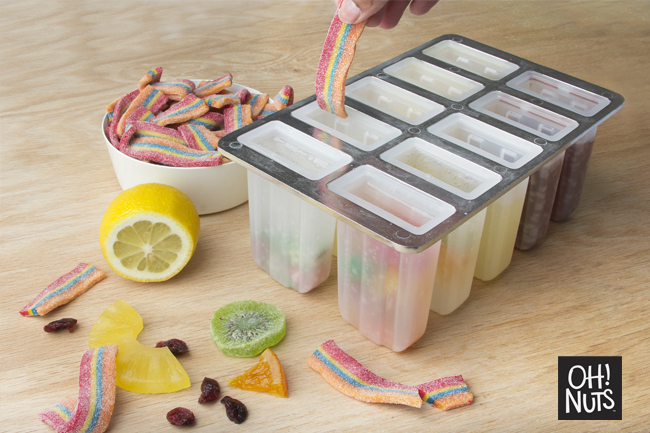 The best part about this is that you can customize and make it ideal for your family and your kids picky eating! Soda, Orange Juice, Lemonade or any other beverage you wish. First step will be to prepare all your items. 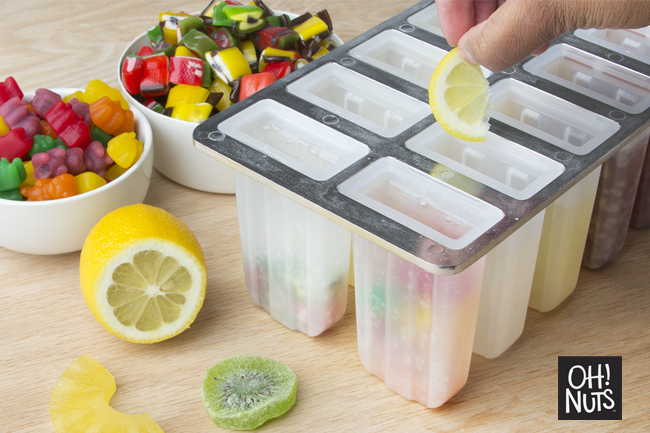 For the dried fruits we recommend chopping them up to smaller pieces so they can fit nicely in the mold. 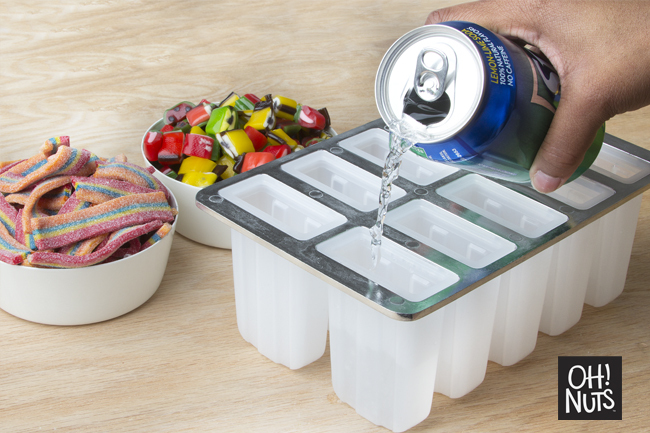 Pour your liquids into the mold, you can use: juice (any kind), soda, yogurt, ice cream, pudding, pureed fruit, milk, chocolate and more. 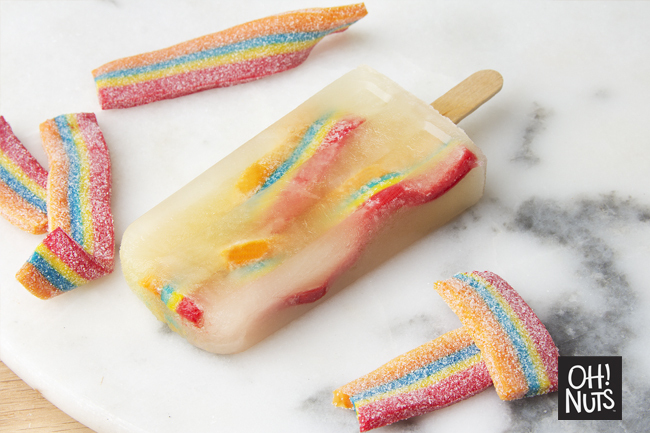 We used orange juice, lemonade and a clear soda for these pops. Do not over fill molds, allow for expansion by leaving about 1/4″ of space at the top of each mold. 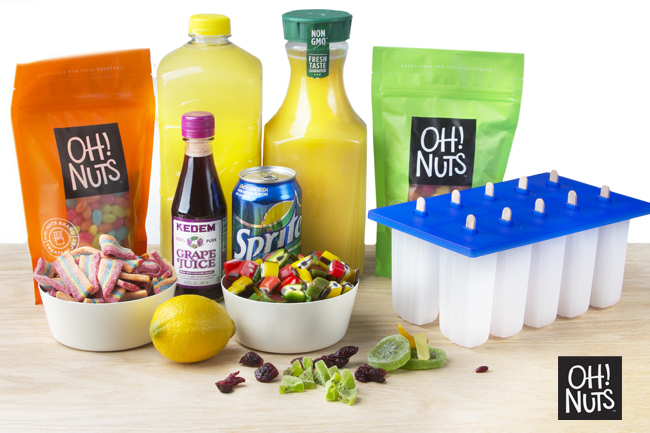 Now is the FUN part – add your gummies and goodies! Think about the liquid’s flavor and what would compliment it best. Remember that some candies might “bleed” into the liquid which could color it or change its taste. 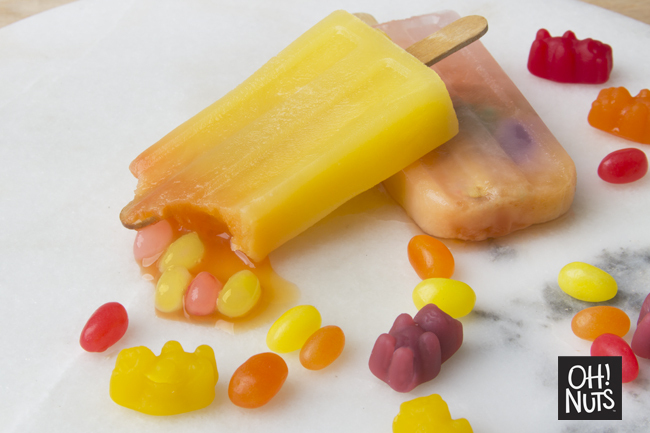 For our pops we added gummies to some pops and dried and fresh fruit to the others. This part is open for you to mix and match as you wish – use your creativity to decorate your pops! 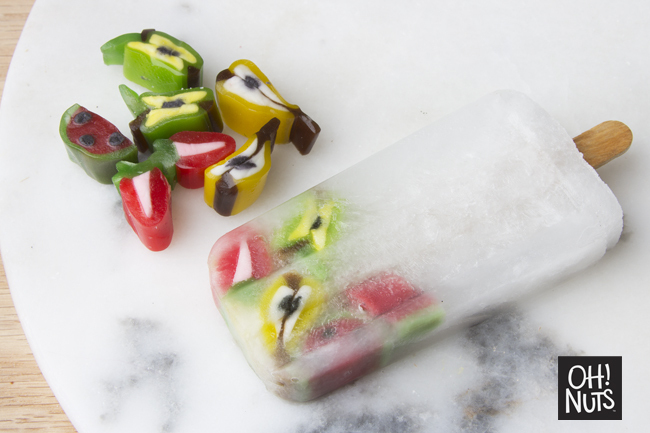 Once all your molds are filled with juice and goodies, it is time to freeze. 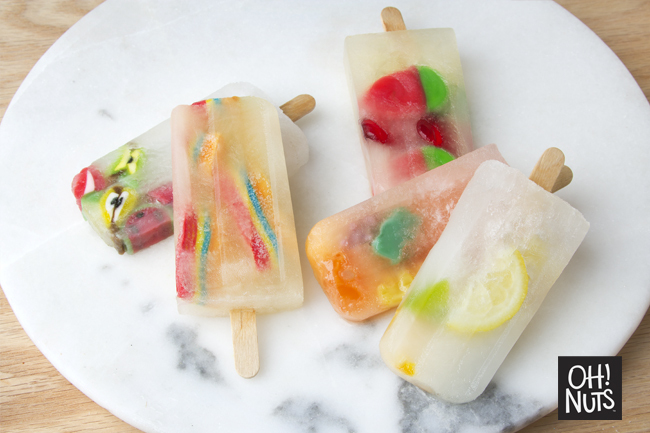 Place the ice pops in the freezer without the sticks for about an hour. 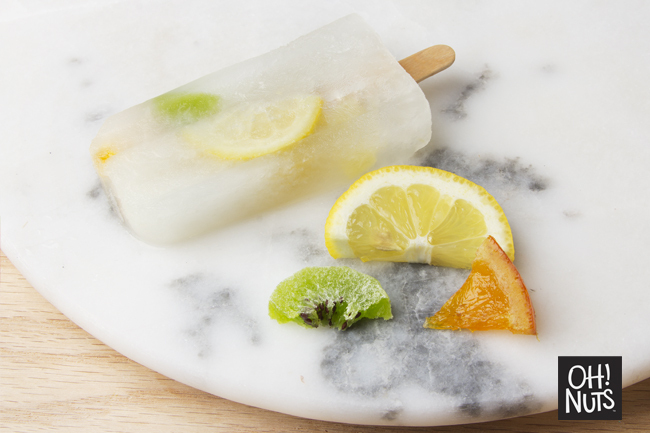 Let the pops slightly freeze than position the sticks. Do not insert the sticks all the way in, leave about 1-1/2″ out. After the pops are frozen solid run the mold under warm running water for a few minutes to loosen the pops. Now… ENJOY!